It will be the most memorable gift they’ll ever receive! A box of choclates is nice, but not memorable. Give your love the gift of adventure and they’ll never forget it… ever! There is something to be said about being different than all others. The masses will go out to dinner, but how many will go out to dinner after jumping from a perfectly good airplane? Everyone wants to feel special, and your valentine will definitely feel that way as you take time to plan the perfect date that includes adventure during the day, a great dinner and dessert. No one plans like you! Your valentine will tell the story to all of their friends about the best date ever planned! Big points for you! That’s right, we’ve got a special promotion just for the creative Valentine’s planner’s out there! 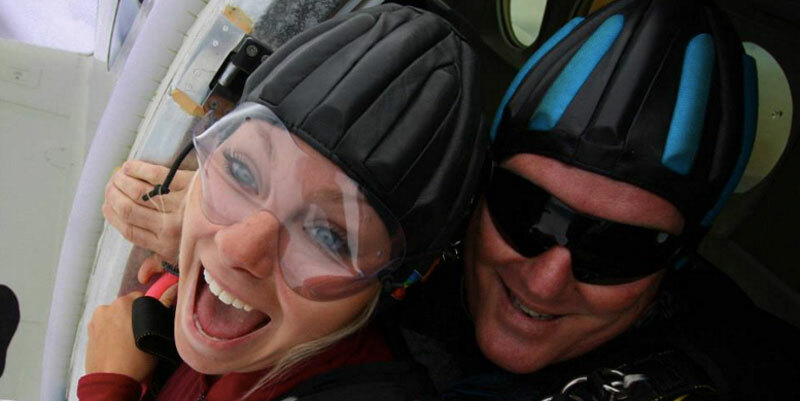 Purchase two tandem skydives with handcam video for $220 each (Normal price is $285 each) and save $65!